It’s getting to be that time of year again. The flies are getting bigger. The nights are getting shorter. 4/0 and bigger hooks are in. 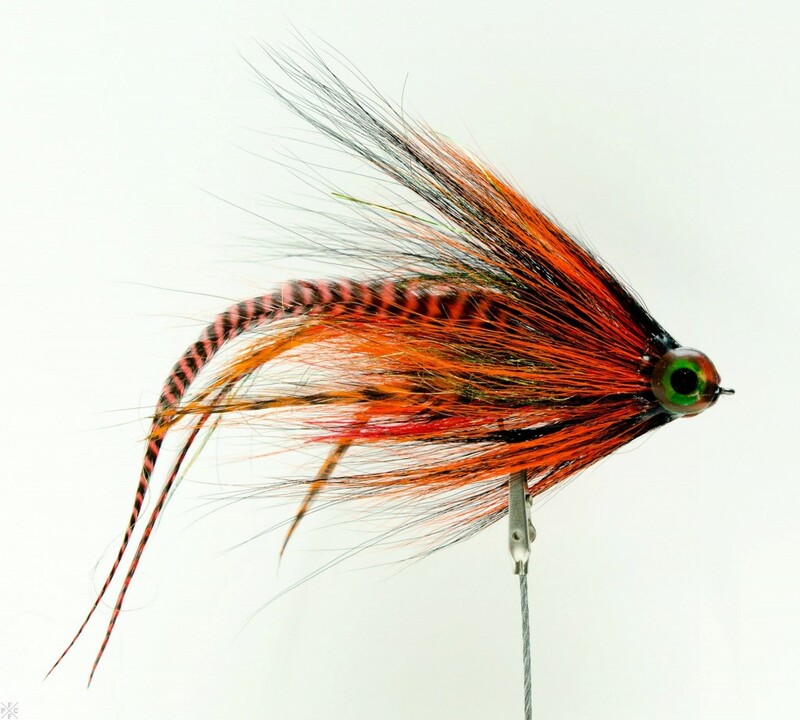 Your best bucktail and hackle feathers come out to play. You know the ones. The ones you sort through at the fly shop, hoping to find those perfect straight long hairs. Those hackles, they aren’t cheap and you know where each and every one is going. Heavy thread and Clear Cure Goo are the order of the day. Those musky teeth will destroy a fly so you put some brushable on each tie in point. You remember rebuilding one fly multiple times last year. After a few fish it looked like roadkill. Well earned roadkill. And this brings me to a good cause for you musky tying folks, a fundraiser. 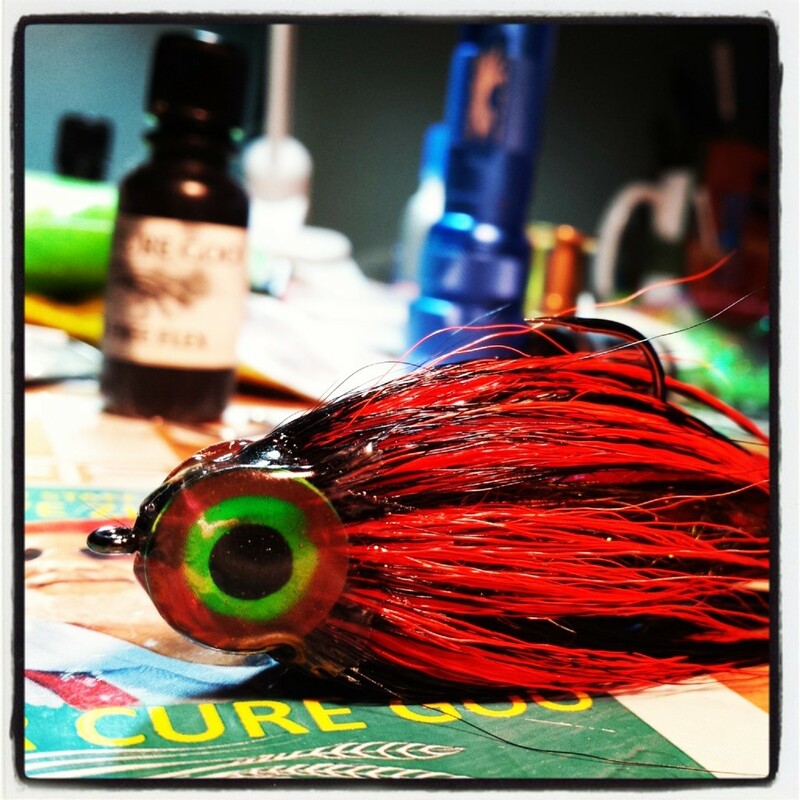 Brad Bohen from Musky Country Outfitters is putting together a big box of musky flies to be auctioned off during the Musky Fly Fishing World Championship. “Howdy Friends and Fellow Musky Fly Fishing Junkies! This message is a special one Friends! I’m putting out a call to all my fly tying Friends to help put together a totally unique, one of a kind musky/predator fly tying box to be auctioned off at the 2013 Musky Fly Tying World Championship…this box will benefit a very special angler in need of some funds to help cover medical expenses. I’m not at liberty to disclose the name or the situation at this time…but I will say this person has been influential to myself and many fly anglers and has a condition that is requiring ongoing and expensive medical treatments. Fly fishing is a great way of life but the vocation does leave some gaps in modern life…and helping fellow anglers in a time of need is a BIG part of our mission up here in Musky Country. 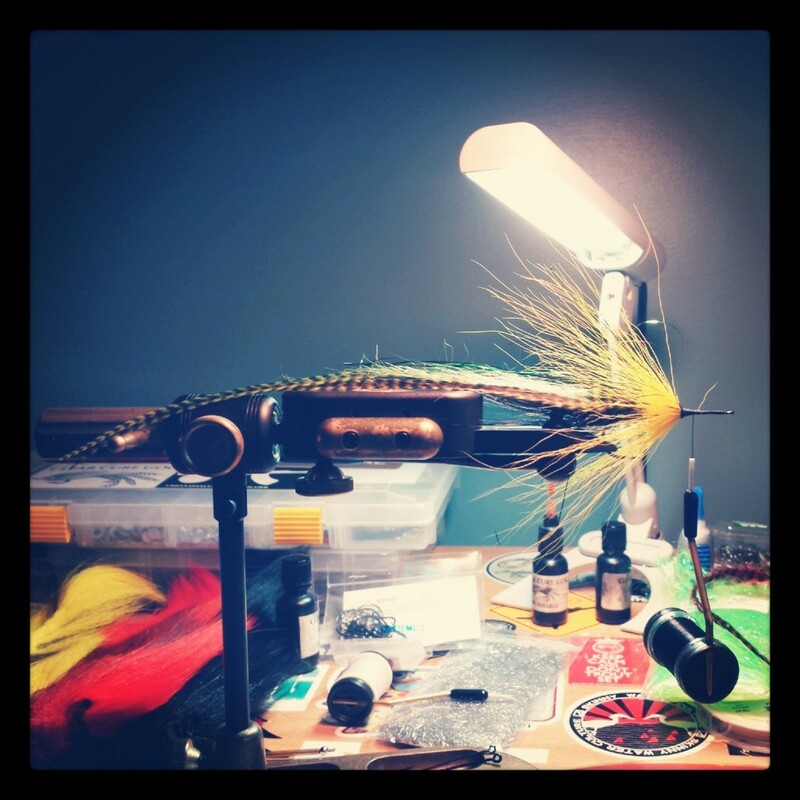 I’m asking you fly tying folks to tie two flies…your best to donate to this special box. For those non fly tying Friends of mine who would like to help out I will gladly accept monetary payment to pass on to this fellow angler. More info will follow of course. I’ll need the flies mailed to me no later than October 15, 2013 to ensure we get them all photographed and accounted for in time for the auction on October 26, 2013 at the 4th Annual Musky Ball. ← I made it this far..
Jeff said, Do you have any plans to fish musky this fall? In reply to Jeff, Dave said, Yep, sometime in mid October. You? In reply to Dave, Jeff said, Early Oct. in Maine and hopefully a trip somewhere else also. Not out your way this year unfortunately.